lays down the ground rules without ado with the slam-bang title Don’t Touch My Music. There should be no qualms about that, Ullmann’s music is made to draw rapt attention. The closer one listens, the more there is to discover. Ullmann brings in an evolving, and revolving, cast of characters to give voice to his music. Each ensemble brings certain attributes and direction to his compositions that absorb various strains to enrich them. Basement Research with Steve Swell, Julian Arguelles, John Hebert, and Gerald Cleaver has marked an indelible presence with their earlier work. And there’s no messing around with them this time either. The members of Basement Research have honed empathy to a fine skill. Surprise is the hallmark of their cross-pollination of genres. The band dons and doffs styles in seamless motion, playing in sweet consonance at one moment and taking off at tangents the next. An intimate conversation warps into disparate strain. And with the wit and sly humor they inject, this CD turns out to be quite the excellent entertainer. “Don’t Touch the Music” is a fine showcase for their creativity. Ullmann brings in the tenor saxophone and blows a myriad of blustery notes. Swell and Argulles lay down calmer lines in tandem leaving Ullmann to his own devices. The melodic theme wisps in and out, the band romps into swing, the horns honk and bop, while the rhythm section lays down a steady beat. The spirit of New Orleans permeates “Kleine Figuren No. 2” with the sounds of Mardi Gras and a funeral march saturating the melody before they turn on the switch and move into a Latin snap, the samba and uppity swing with the meter and tempo making for infectious bedfellows. Every track is tantalizing. No matter which way the ear is cocked, the music has vitality, panache, and verve. I don’t know how most people feel, but when I reach a certain milestone, such as a 50th birthday, I can think of no better way to mark the occasion than by playing great music, your own music with great musicians to enthusiastic crowds from Poland, to the Czech Republic and in your own hometown at a major European jazz festival, one of the biggest of them all. That’s exactly what my good friend Gebhard Ullmann did in 2007. Even it wasn’t MY 50th, it was great to be there, enjoying his performing with the great musicians you hear here. Not to mention the music was so very hot!!! Being my own DIYer, I know how hard it is to put a good tour together, logistics, hotels, trains, planes. Geb did a fantastic job on this one and everybody in this band understood all the work involved. We just had a ball playing. Those are the ingredients that make a good band great. Not to mention everyone had each other’s back. Listen to this disc and you’ll see/hear what I mean. From the first night in the Czech Republic this band was spot on. Everyone jumped into Geb’s music, tearing up the great music he writes and contributing great solos and support all around. The vibe in this band is so positive, I would vote for some of these guys for President of the U.S. or Germany, if I could. And the people at Alchemia and of course Marek Winiarski of NotTwo were so fantastic some of us hung out at the club till the wee hours. It seems every band I play with at Alchemia does the same thing. It must be the water there. When Gebhard Ullmann took his Basement Research into Krakow ‘s Alchemia Club to celebrate his 50th birthday, he recorded two sets of music. The first was released as Don’t Touch My Music, Vol. 1. Like the first, this second set is unedited and unchanged, and shows just how intuitive and empathic the band is. Ullmann’s compositions encapsulate several idioms. He goes from blues to a march, transforming into free idioms without a twinge. And just as his writing is earthy, so too is his playing. He never wastes a note and creates music that leaves its mark on the anvil of time. And if his playing is the cornerstone of the band, his accomplices are no less distinguished in essaying their craft. Ullmann fires up “Das Blaue Viertle” from a funereal beat into a hot and grinding climax. Along the way, he has Julian Arguelles (soprano and baritone saxophones) and Steve Swell (trombone) help in the transition. The deep growl of the baritone and the wailing cry of the trombone are muscular trajectories, but a waft of swing that cools the air, and the silken curtain that Swell and Arguelles drop behind Ullman, brings their vision full circle. “New No Ness” takes concept and resolution to another level. In an elegiac encounter, John Hebert (bass) and Gerald Cleaver (drums) are cool protagonists holding a conversation in almost hushed voices. Their path is unhurried as the bass gives voice to a soft shower of chords tempered by the rhythm of the drums. The mood is rent asunder by the invasion of the brass. Shards fly, volatile darts criss-cross, tumultuous lines leap, and the energy is intense. The phases are distinct but just as the calm tells its own story, the storm sets up its own pitch. 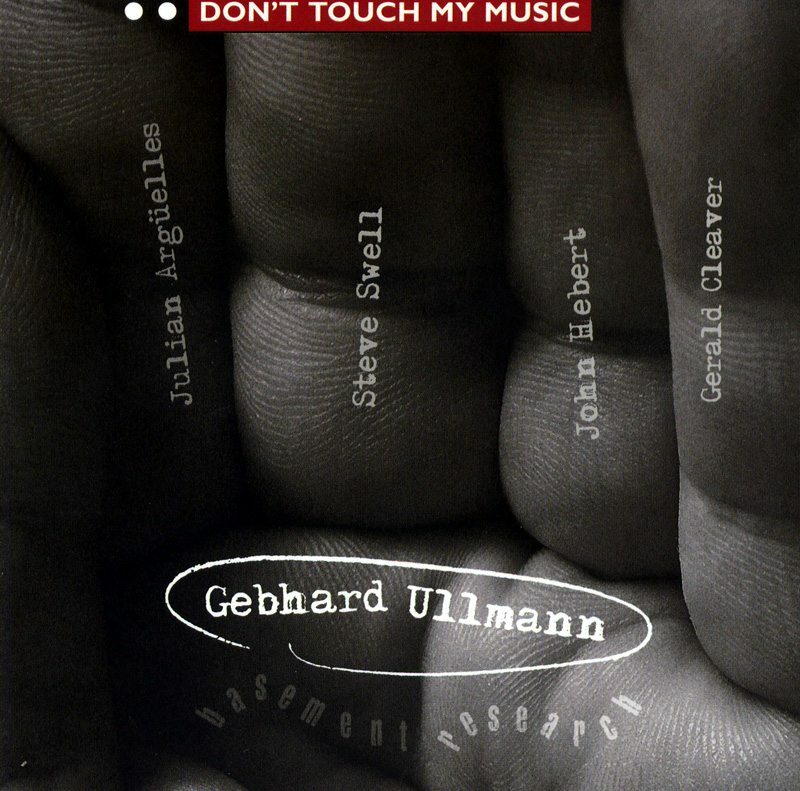 In the exquisitely delightful nugget “Don’t Touch Our Music,” Ullmann, Arguelles and Swell set out on individual roads, marking their journey with breathy phrases, tongue-slapped interjections and quaint melodic lines that disappear almost as soon as they come in. They stop for brief conversations and then traipse off again. It is all quiet and the curtain ringer for a performance that should stay long in the memory.